Landon is chubby and he's the new kid in town. His family is protective of him because of his hearing impairment, but he attends public school with hearing aids and can read lips. When he decides he wants to play football, the coaches are gleeful about his big size, but uncertain how to work with him - confusing his inability to hear and beginner status at football with mental slowness. Landon has to fight to convince his family he should play, but when he goes to practice, he doesn't feel like he's part of the team at all. Is quitting is the right answer in this case? This book has a bit of a fantasy element, in that a popular athlete befriends Landon, and the same friend happens to be related to a successful NFL player who takes an interest in Landon. Readers in the target audience will probably enjoy that piece, rather than question its authenticity, because it's nice for a character with so many challenges to have someone powerful in your corner. I am not a fan of the mother, less for her Mama Bear demands, and more for the way she is shown to lack integrity. For example, after she agrees that Landon can try out for the football team, he has to order a special helmet, and works with his father to get it on time for tryouts, because his mother has been known to - oops - let the deadline go by, and then - surprise! - she gets her way all along. If you agree to support someone, you shouldn't sideline him, but parents are imperfect and contradictory in the real world, too. 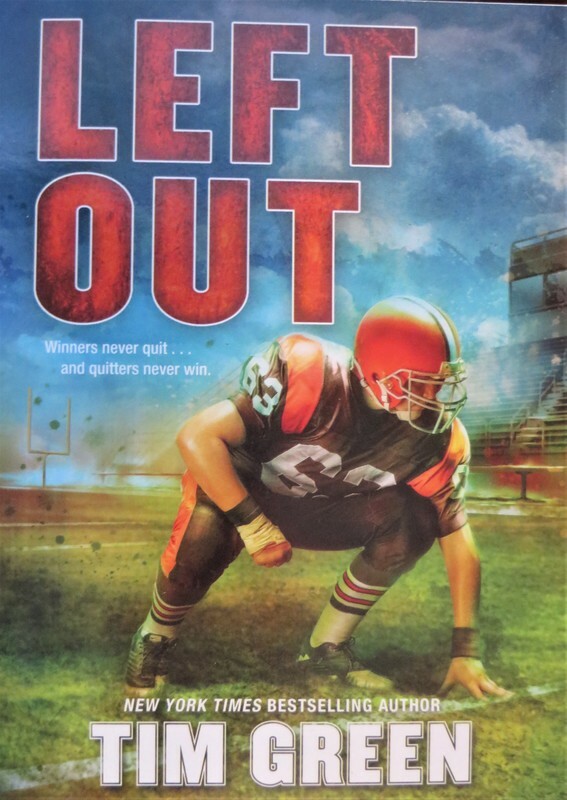 Plenty of readers can relate to this book, even if they know next to nothing about American football. Landon's struggle to try to succeed at a new thing is relatable, especially since he is not an instant success. Landon's family seems to completely ignore the Deaf and hard of hearing community culture, preferring only to engage with the hearing community. I found this either/or mentality disappointing; the message seemed to be more "you can do whatever a hearing person can do, so go do it," rather than "people of all abilities have perspectives, approaches, and skills to offer." However, the story is about his challenge to play football, not his adaptation to the hearing world, so I understand that this particular character's approach may be representative of many real people with cochlear implants, while others might make different choices and have different perspectives. "Right tackle only. No more left out."